Microsoft generally rolls out new features in its Insider builds for testers before they are released to the public. 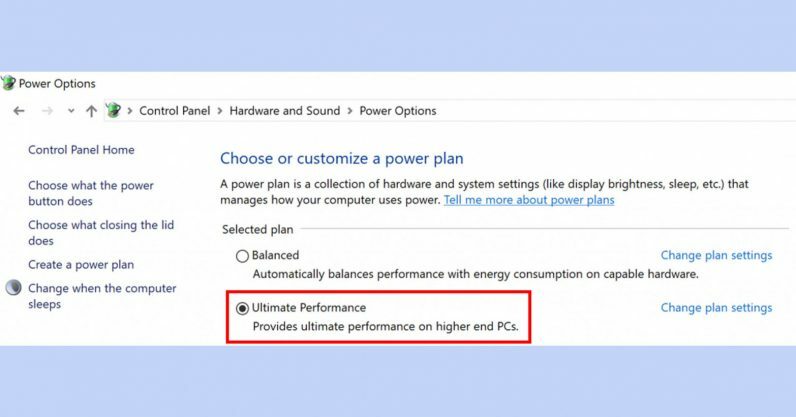 Yesterday’s build 17101 includes a feature that may be particularly intriguing for power users and professionals: an ‘Ultimate Performance’ mode. It’s basically exactly what it sounds like – the highest performance setting in Windows. It’s not overclocking your PC or anything, but the company says the new settings “builds on the current High-Performance policy, and it goes a step further to eliminate micro-latencies associated with fine grained power management techniques.” The goal is get rid of the places where Windows normally makes efficiency trade-offs, yielding improved performance at the OS level. There are some caveats. Microsoft says it can “directly impact hardware.” Naturally, any time you push performance to its limits, it could have a detrimental effect on your components. The company also isn’t estimating how much of performance boost you’ll be getting; that’ll likely vary by system. Your electric bill will almost certainly go up, too. It’s also not available on “battery powered systems.” It’s not clear whether that means it won’t be available on laptops and tablets at all, or only when they’re not plugged in. We’ve contacted Microsoft for clarification. Although Ultimate Performance mode is geared towards professional workstations, I wouldn’t be surprised to see gamers, videographers, and anyone else obsesses with performance take advantage of it. For more on what’s coming with the latest build, check out Microsoft’s blog post at the source link below.